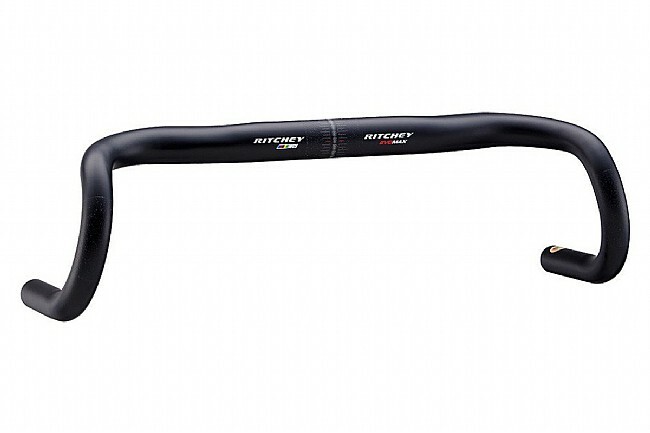 The Ritchey WCS EvoMax Gravel/Road Handlebar is a versatile handlebar equally suited to on or off road riding. 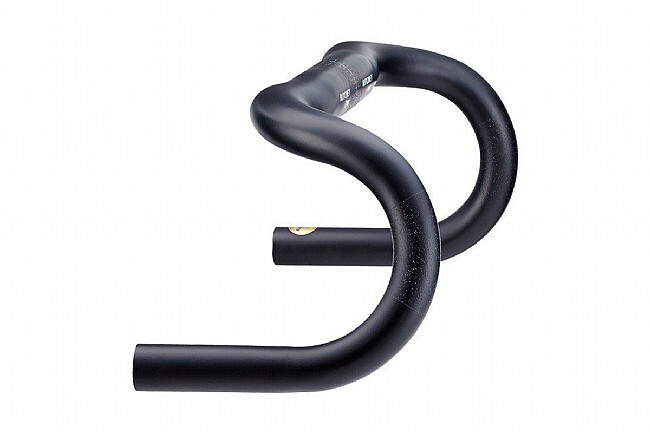 Featuring a 12º flared drop, this bar provides greater forearm clearance when in the drops for greater leverage than a non-flared bar. 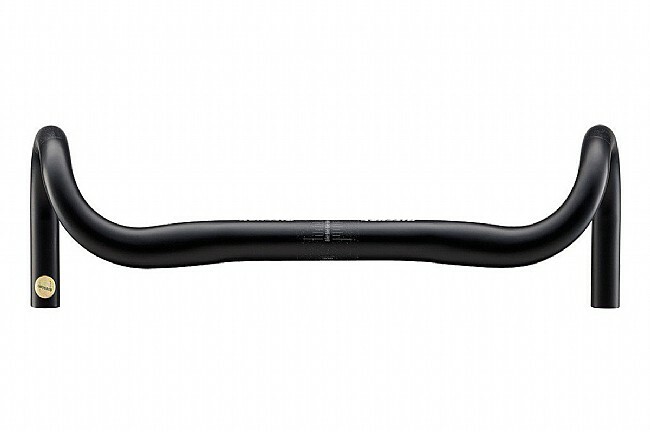 The triple butted 7075 aluminum alloy eats up bumps and buzzes from the road (or lack thereof), while the short reach and shallow drop sweeps out 4º for an optimal riding position whether in the drops, on the hoods, or on the flats. 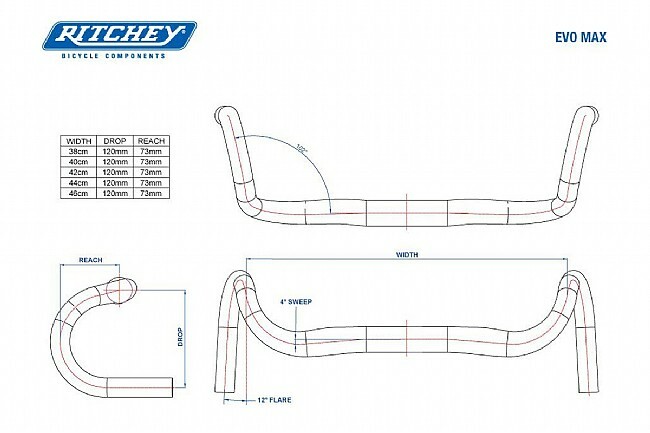 Evo Curve shaped top with 12º flare at the drops for greater forearm coverage. Short reach, shallow drop with a 4º sweep.